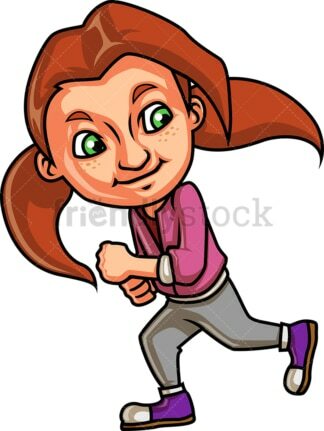 Royalty-free stock illustration of a little girl with blue eyes, blonde hair and a ponytail going out for a run. She is wearing a green bandana and looks happy, wearing a big smile on her face. Royalty-free stock illustration of a little boy with brown hair and blue eyes, wearing winter clothes and a bandana while running for exercise. He is clearly getting tired and breathing intensely as he runs. Royalty-free stock illustration of a nerdy little boy with brown hair, wearing glasses, long pants and a t-shirt, anxiously looking at his watch while wearing a backpack. He is clearly running late for school and he knows it! Royalty-free stock illustration of a blond little boy with blue eyes and wearing dungarees and a t-shirt, starting a race, running with high speed and looking determined to finish first. 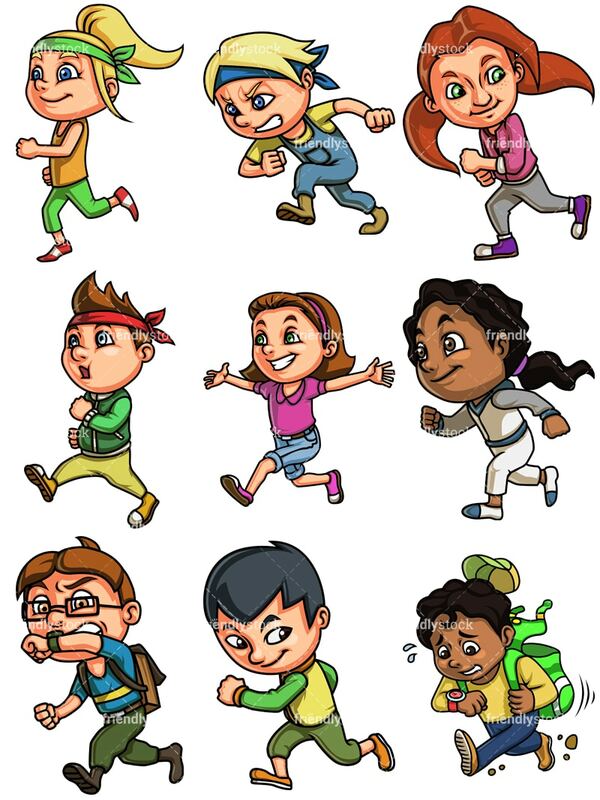 Royalty-free stock illustration of a cute little girl with brown hair and green eyes, wearing a headband, a t-shirt, and short blue jeans, running with her arms wide open, looking happy. 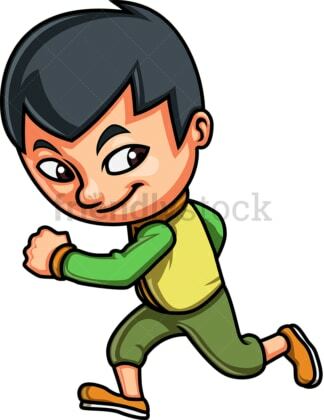 Royalty-free stock illustration of a little boy with dark hair and a cunning look on his face, looking over his shoulder while running with high speed or racing someone. Royalty-free stock illustration of a little girl with freckles, red hair and green eyes, looking over her shoulder as she runs with high speed. 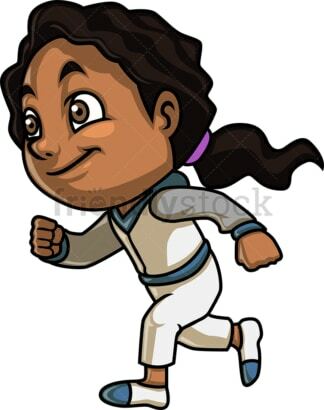 Royalty-free stock illustration of an African-American little girl with dark curly hair, brown eyes and a low ponytail, wearing sweatpants while running for exercise, smiling and looking in a good mood. 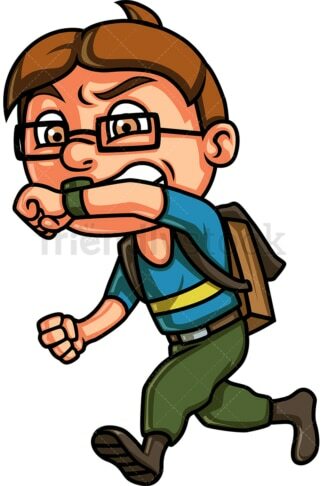 Royalty-free stock illustration of an African-American little boy with dark curly hair, holding his backpack with one hand and staring at his watch, sweating with anxiety as he is late for school.